We did not lie, we did not say our genetic ancestry is black: there was nothing like that in the statement. The paper we signed states that it is the Afro-American consciousness that is a part of our own identity, and that statement is true. Gershwin's music, jazz, and Afro-American culture is a part of the world's, humanity's cultural heritage, a part of our everyday moments, as we enjoy this culture, this music every day, and as such, it is an integral part of our identity. There is nothing in this that should offend anybody." Follow us on Facebook for more English coverage on Hungary. This is how Anikó Bakonyi, playing Serena in the Hungarian State Opera's rendition of Porgy and Bess, explained why she signed the document that the Opera's director Szilveszter Ókovács had sent to every singer. As the Hungarian edition of Index had previously reported, the strange statement singers were made to sign was the director's peculiar way of handling a legal dispute. As per the request of heirs of Gershwin's catalogue, only Afro-American singers are allowed to perform the piece, and maybe this was due to a mistake, but the fact is that the Hungarian Opera was offered a contract last year that did not have the famous "all-black cast" clause, which they ended up going for. Anikó Bakonyi (l) in the role of Serena at the Erkel theatre rehearsal of Porgy and Bess on 25 January 2018. "I, the undersigned, state that Afro-American origin and consciousness are integral parts of my identity. For this reason, it is a special honour for me to be able to perform in George Gershwin's opera titled Porgy and Bess." The director explained his strange request by saying "there is no official register of skin colour in Hungary, not even in criminal records, it is sensitive data. Therefore, I am not in a position to tell whether or not this cast fits the conditions set for the production, so I thought I would ask them." The story caused a major international stir and it was picked up by the Guardian, the New York Times, Euronews, Russia Today, the Daily Mail, and AP, so we asked twenty of the singers appearing in the opera to explain why they did or did not sign the document. We have so far received eight answers. "I think that as an artist, I have a right to practice and interpret this culture. This is what makes it possible that this cultural heritage can be explored and enjoyed at a live performance in such a country as well that is mostly populated by white people. I believe that forbidding me from performing in a piece just because I'm white is negative discrimination and racism," Anikó Bakonyi continues her answer, adding that all of the artists involved gave the best of their knowledge, and they all have the necessary musical training that enables them to authentically perform the piece. "These days, there is oversensitivity in world politics - so much that now we are discriminated against because we happen to be white. We went from one extreme to the other. In the 21st century, we no longer only know what's exactly happening next door, but what's exactly happening on the next continent: such a constant stream of information makes it impossible not to absorb everything into our identities." The male lead playing Porgy, András Palerdi answered in similar spirits: "In a marriage, the identities of individuals are integral and inseparable parts of the identities of the other individual. That is why it is a marriage, that is why the two individuals are one body: they are parts of each other. Just like how our African brothers in faith are inseparable parts of our own identities. We call each other Brüder along with Beethoven, as our Father that dwells above the "starry canopy" is the same, who, after the long, long way, will be there to take our hand," he wrote paraphrasing the opera this time. "For me, this was never a question. We strengthen each other in our faith, we walk towards the same goal, hand in hand, as brothers. 'Porgy and Bess' gave us the power to do that." Boldizsár László, in the role of Sportin' Life, also talked about how the culture one encounters will become a part of that person's identity. "By accepting the role of Sportin' Life, I have expressed my belief that this piece has a place in Hungarian Opera. 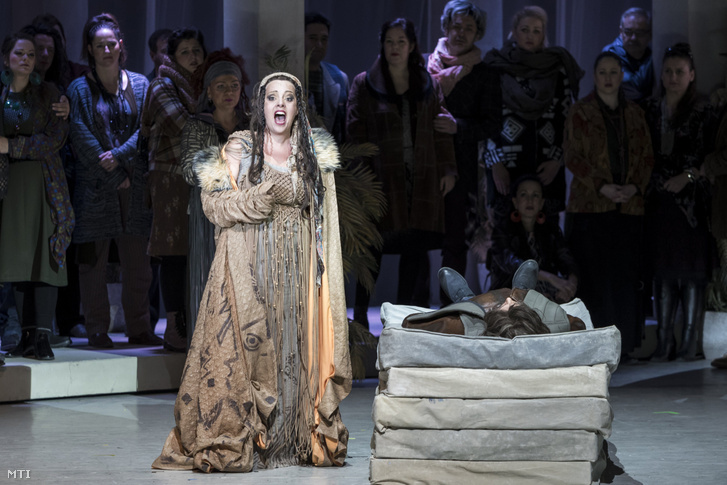 The identity in question had developed throughout the rehearsals, driven by the music and the story, even without a request from the leadership of the Opera. That is why I signed the statement. My personal motivation also lies in my past, in my former band Cotton Club Singers, with whom we covered a lot of black music. If I look at it like that, I've developed my Afro-American self way before the role was ever offered to me. The other important thing is that Gershwin wrote this piece in a way that first and foremost you must to be an opera singer to perform it, not a black person. So this controversial performance represents more values in my interpretation than, for instance, the performance I saw years ago in the Szeged Open-air Theatre. 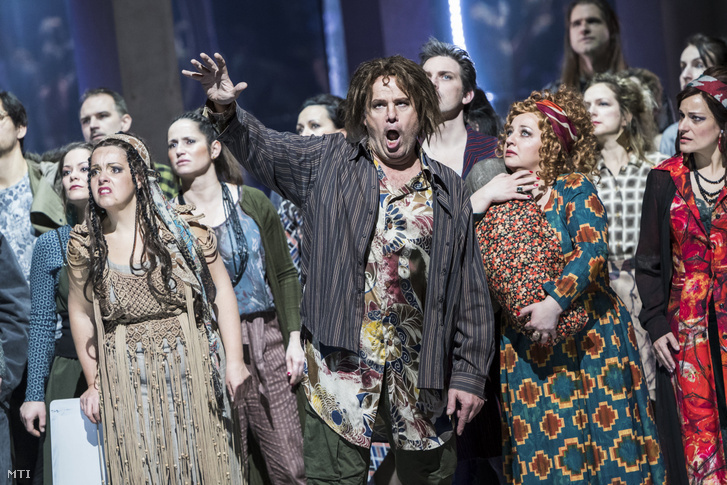 That rendition, performed legally, with an all-black cast, had musical deficiencies that even the audience in Szeged noticed. I think the primary aspect should be this, and not something else. Too bad we can't ask the composer anymore." One of the artists simply said that the background work going into a performance is "from my part, not for the public" and asked us to omit their name. But that singer added that "I think this topic has been blown out of proportion, and it puts the artistic assessment and the success of the performance in the background in the eyes of the public. We love this piece, and seemingly, so does our audience." I did not sign this statement, because if I would have accepted and signed it, I think I would have offended the Afro-American community in Hungary and elsewhere in the world. I find the director's request cynical, and I think it disrespects the identity of Hungarian citizens regarding their identity as something easily waived, but I think it also mocks our fellow, black-skinned human beings, such a cheap gag belittles their identities as well. If Hungary demands respect, this respect has to be paid as well, I think. What I feel is that this whole story with the Opera and the way the management communicates perfectly resonates with the Hungarian government and its policies. It's the same cynical, mocking, superior, disrespectful tone that is oftentimes unsupported by facts. It's the arrogance of a minority that believes in its own superiority." 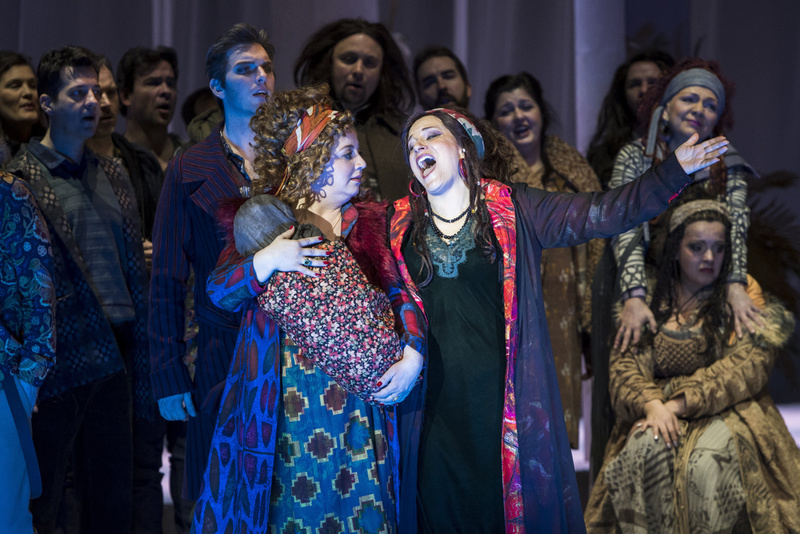 The singer added that besides this, he does not think that the intention of Szilveszter Ókovács to start an international dispute to see if it's still a good thing in 2019 to insist on a completely Afro-American cast in any opera. "This is why I happily appeared in the opera, and until the point it hit untraversable legal walls, I've supported work. However, my Hungarian consciousness, not to mention my belief in the truth, do not allow me to sell out my ancestry. One does not change their homeland or their ancestry.